In 1999, after the student uprising in Iran, while I was getting my Masters in mathematics, I was expelled from university for raising my voice for Human Rights and freedom. I later decided to come to Ashraf city in Iraq, to join the cause of freedom and democracy. After ten years of conspiracies and massacres staged against us in spite of all the insurances and guarantees given by the United States and the United Nations, we reached the day of September 1st, 2013. On that day, the Special Forces of Iraqi Prime Minister Nouri al-Maliki attacked camp Ashraf for the third time, at the behest of the Iranian regime. 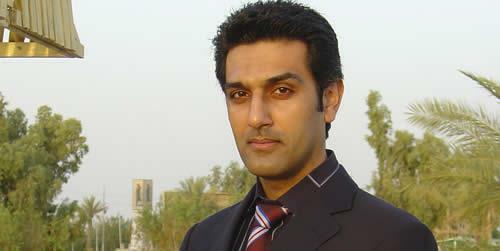 At that time, I was in camp Liberty, and I was following the news from television. My heart skipped a beat every time I heard the names of the newest victims declared. The martyrs were my teachers, mentors, and friends, people I had worked and lived with for more than a decade. 52 people were brutally massacred, and seven others were taken hostage. What a terrible day! Just thinking about it drives me mad. Along with hundreds of my friends in camp Liberty, I decided to go on hunger strike, demanding the immediate release of the hostages. We are now in the seventh week of our hunger strike. In the past 45 days, my health has deteriorated considerably, yet I see no other way to bring attention to the plight of the seven hostages than to endure the suffering and pain of hunger strike. I often find myself thinking and reminiscing on the martyrs. Today, I was contemplating on my memories with Rahman Manani, one of the 52 victims of the camp Ashraf massacre who was shot in the head with his hands cuffed behind his back. We had spent the past 12 years working closely together. Rahman had come to Ashraf from Germany and was a freedom-loving youth. He had given up his personal dreams and ambitions, his studies and life, to struggle for the cause of freedom. Rahman was murdered because he dared to raise his voice for freedom. Therefore, it is my duty – and the duty of anyone who respects freedom and democracy – to be the voice of Rahman and to make sure that he has not died in vain. I think that Rahman was confident that, after him, there will be noble and courageous people across the world who will not let the flame of freedom be extinguished and will pick up where he left off. Hence I ask you to be the voice of Rahman and carry his voice across the world, and thus keep his memory alive. We must not let others like Rahman be cruelly murdered. Currently, the seven hostages are in the hands of Maliki’s forces, and they are enduring severe torment at the hands of Maliki’s agents. Maliki denies having them in his custody but there is more than enough evidence to prove that they are still hidden in his secret dungeons. Their lives are in danger and they are facing the threat of being extradited to Iran. I’ve been under the rule of the mullahs ruling Iran, and I know the tortures they exercise on dissidents before executing them. The United States and United Nations had promised the residents of Ashraf safety and security, but they failed to protect the 52 victims against Maliki’s savage forces. Their continued silence and inaction is endangering the lives of the seven hostages. I call on every person out there who cherishes life and freedom to help us in our plight to save the hostages. Call on your governments, and the United States and United Nations to take action and put pressure on the Iraqi government to release the hostages. Remind them that their silence and idleness can cost the hostages their lives, and will encourage the Iraqi government to stage further massacres against the residents of camp Liberty. Every step counts, however small it may appear. Every voice counts, however weak it might seem. To save a person’s life is to save mankind. Mohsen Boudaghi, BS in mathematics and mirror artist, was one of designers of camp Ashraf’s mosque. He left Iran for Ashraf to join the cause of Freedom. 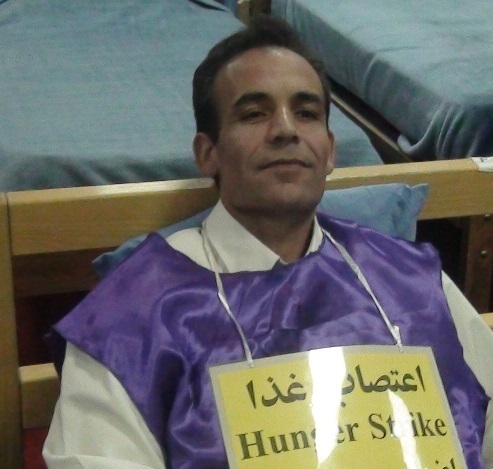 He is currently in camp Liberty, on hunger strike. Previous Previous post: Asking Adolf Hitler to investigate “Holocaust”!! !